The annual ‘fishing’ trip has morphed over the years into a surf trip/any adventure we can find type that almost certainly will involve single malts. 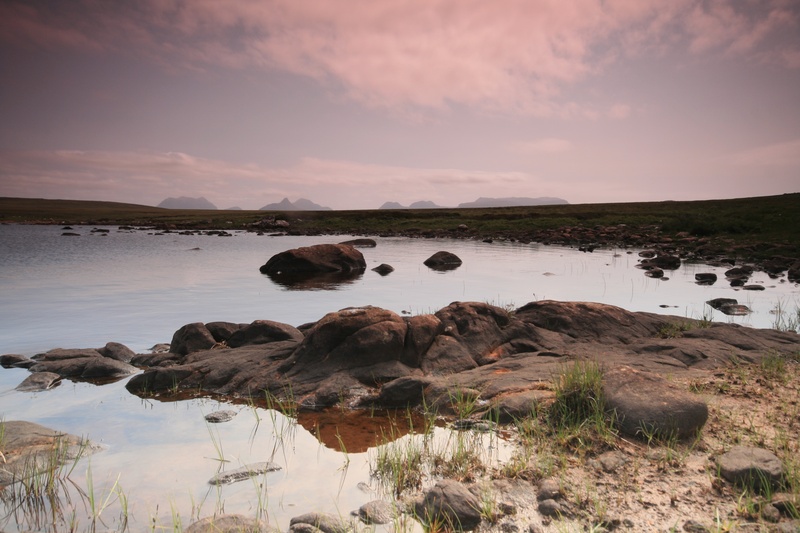 This year, we headed to Achiltibuie in the middle of the Scottish heatwave. Different plans for the weather up there though and the first day was a soaked through your waterproofs type affair. I’ve recently stopped sitting on the fence and have decided to stop eating meat for various reasons; health, environmental (recently learned 20% of the world’s greenhouse emissions come from raising animals for meat), and animal welfare. I was secretly glad I didn’t catch anything and suspect my fishing days and fish consumption are coming to an end. We had a great trip up to the Bone caves but no sign of any polar bear remnants. 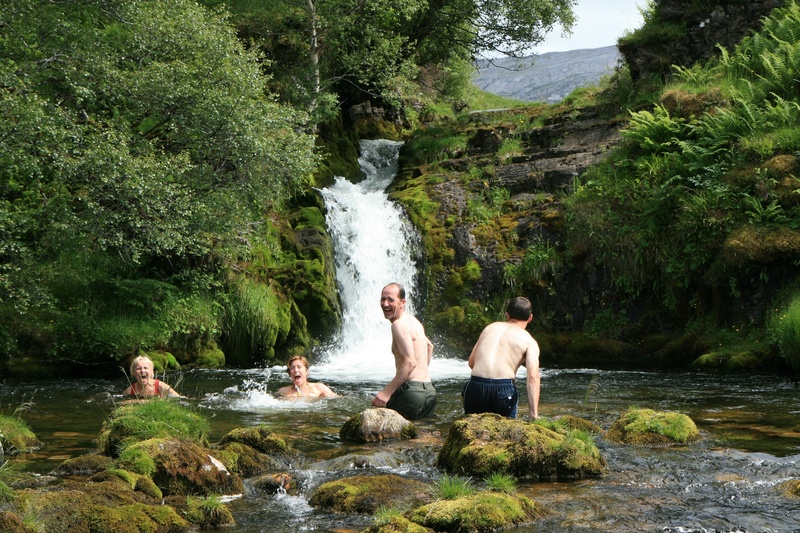 On the way back down there was no way we could miss a chance to swim under the waterfall of the river Allt nan Uamh. The world skiff racing championships were being held in Ullapool over the week with representation from all over the world including Tasmania, Holland and the USA. 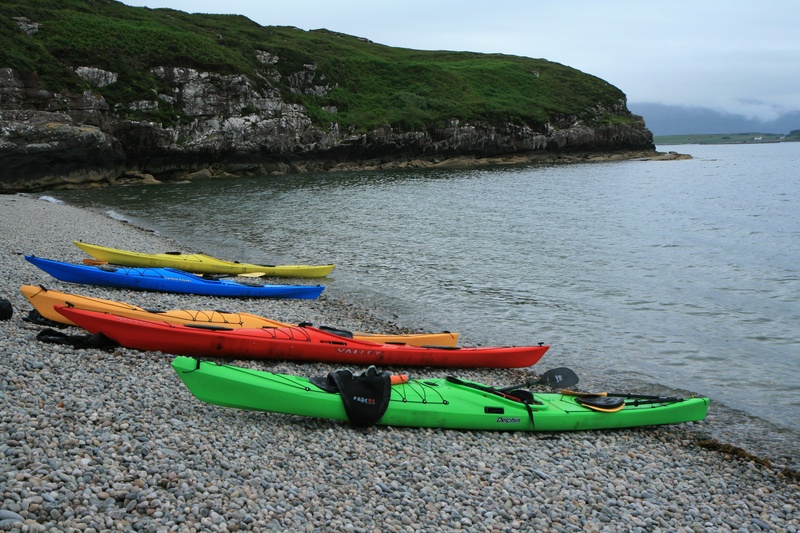 It was a great sight seeing all the boats lined up on the shore of Loch Broom. Coastal rowing has taken off the last few years and there are a lots of clubs close by in East Lothian and Fife. 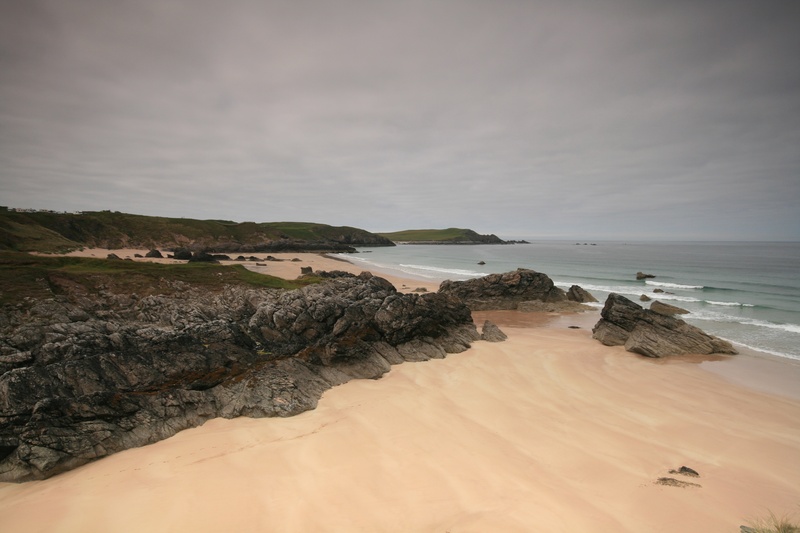 Durness was the next destination – golfing for the boys and surfing / water action for the girls. 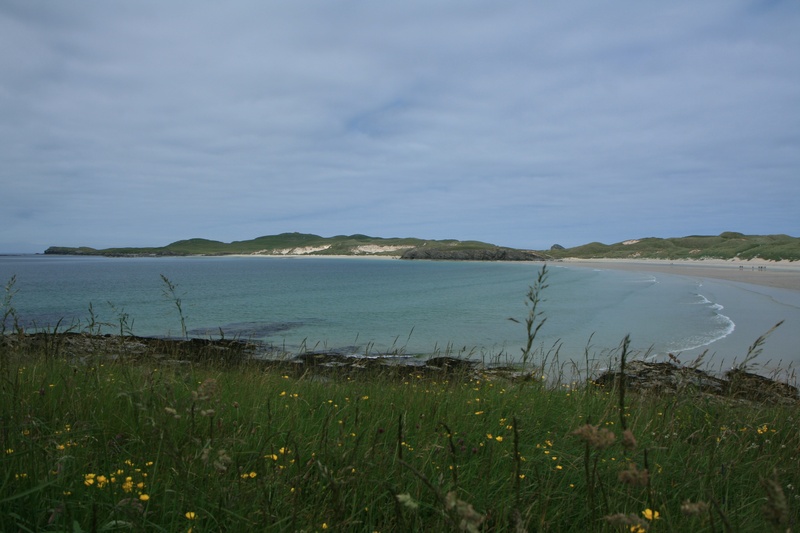 We went for a surf at Sango Bay before going round to Balnakeil Bay for some wild swimming. I swam across the bay with Julie in the kayak, towing croc. It was a fair swim and by the time I came out the water on the other side I was staggering around from the effects of the cold. Julie towed me back on top of the croc which required some paddle power. We still had some time for mucking around in the surf and I had my first shot in a wee kayak for 5 years. I tried a couple of rolls just to see if I could remember what to do but reckon it’s one of these ‘riding a bike’ things that you don’t seem to forget. 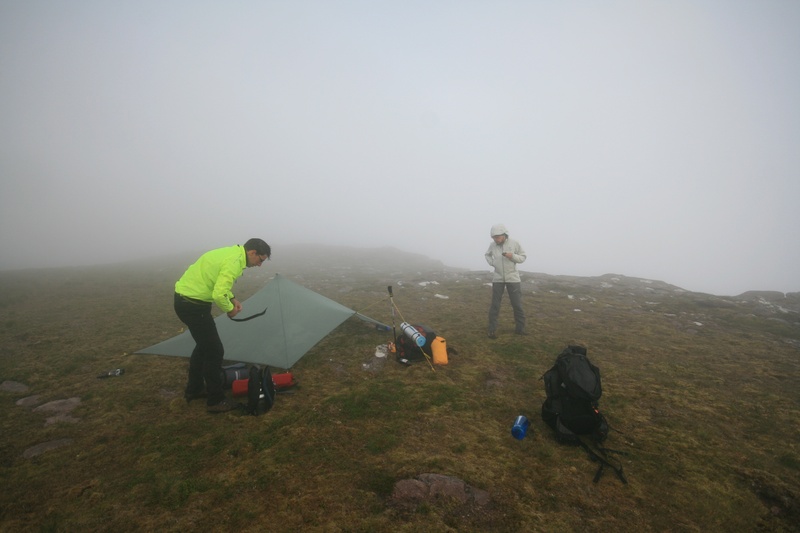 The Thursday highlight was a microadventure – summit camp on Sgurr an Fhidhleir (the Fiddler). We set up after tea with the trailstar, minimum clothing and a beer for the top. It happened to be about the hottest moment of the holiday as started our hike up with winding path with views of the Summer Isles behind. I don’t think I’ve been so sweaty outwith a tropical climate and it just got worse as the terrain became steeper. We got to the summit about 9.30pm, just in time to catch the changing hues of the sunset over Stac Polliadh, Suilven and beyond. we could also see An Teallach to the right of the Ben More Coigach ridge. It really was magical as the light faded. We found our camping spot on the first bit of flat ground below the summit and a wee bit back from the edge as the Fiddler is famed for the ground plunging 500mg vertically from the summit. Sunrise was just after 4am and peeking out the door of the trailstar, we were out of luck and hidden in the cloud. On Friday waded across to Isle Ristol at low tide with my paint box and stood on the beach painting the landscape in front in my bikini. Felt really creative but still warming up with getting back into painting! 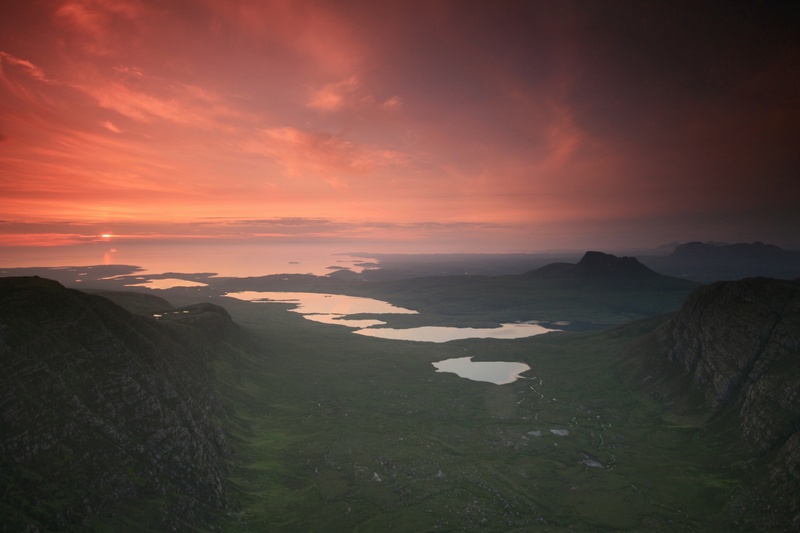 I can’t wait to head back to Assynt. There is so much to do and we only saw a fraction. One thing for sure – I’ve just found my second home for my packraft (when it arrives). 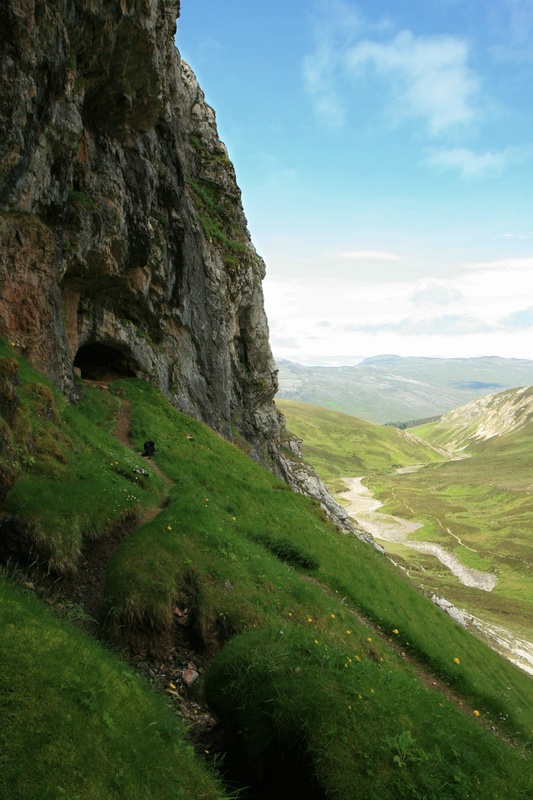 This entry was posted in Outdoors and tagged Assynt, Dip, microadventure on 25/08/2013 by Mangoventures.